Every 10 minutes, new orders will be download from Magento to Veeqo. When you ship an order in Veeqo, Magento is updated with the details. This includes the fulfilment status, any tracking numbers along with an email confirmation sent to your customer. Every 60 minutes, Veeqo checks for new products in Magento to be downloaded. When stock levels change for a product in Veeqo, the changes will be pushed to Magento immediately. - Type: Select Magento CE as the store type. - Default warehouse: Select which warehouse you want to use for this particular store. You may have multiple warehouses and select a specific one for this particular store e.g. You might have a warehouse in London for shipping your Magento UK Orders and one in New York for shipping your Magento US orders. - Currency: Select the currency which you are selling in on this store. e.g. For Magento UK you may be selling in British Pound whereas Magento US may be US Dollar. Veeqo will convert any orders from these stores into the set base currency of your Veeqo account. Search for existing products in Veeqo which have the same SKU code and link them? 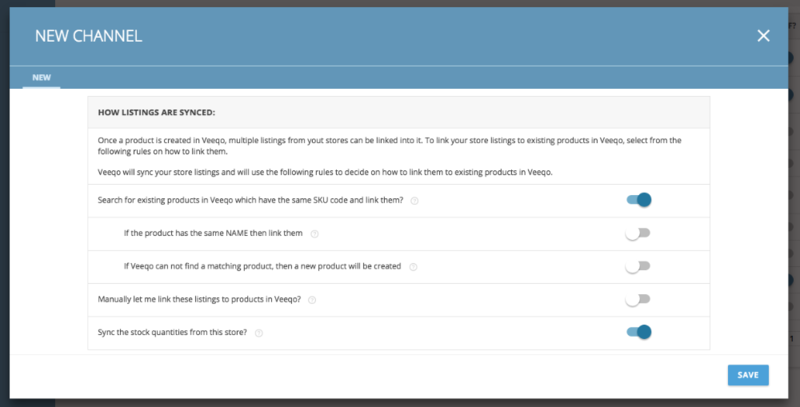 When you connect your Magento store Veeqo will begin pulling in your listings. With the above option switched on Veeqo will look for matching SKUs from your WooCommerce listings and existing Veeqo products and link them. This is useful if you already have some existing products in Veeqo that you've either added manually or created using listings which have pulled in from another store. Import additional payment details? For users of the Braintree payment system the additional payment information will be added to the internal notes of each order when this is enabled. When an order is shipped in Veeqo, update my store and mark the order as 'shipped'? 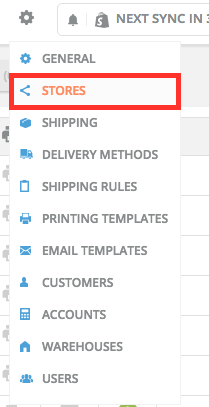 If you want to use Veeqo to ship your orders then make sure this option is switched on so we can update the order statuses on your Magento store too! Send my customer a shipping confirmation email whenan order is shipped in Veeqo? If you'd like to send a shipping confirmation which would include the tracking numbers assigned to the order then switch this option on. You can edit the template of this email by going to Settings<Email Templates. Any orders for this Magento store will allocate inventory from Warehouse 1 - Main Warehouse for all it's orders. If there's no stock left in this Warehouse, Veeqo will then try to find stock in Warehouse 2 - New York Warehouse. 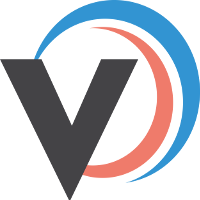 To push stock levels to Magento, Veeqo uses the inventory total of all warehouses. This does not include warehouses that are disabled for this store. 10. 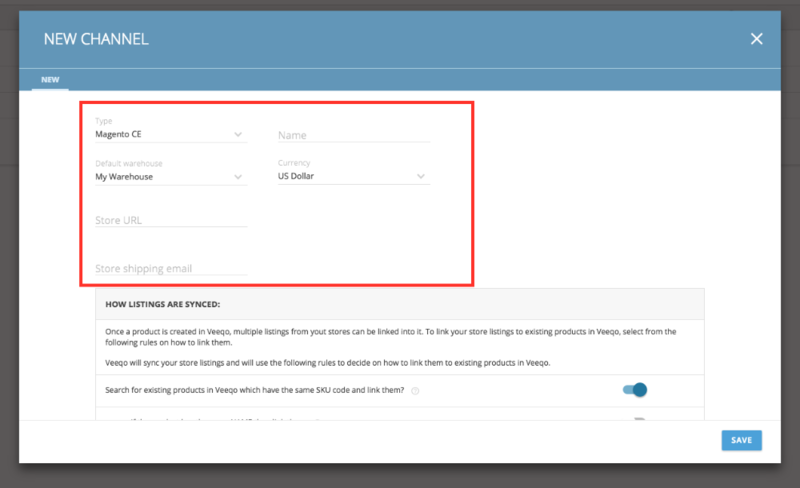 Go back to Veeqo again and to Settings>Stores view your Magento store and scroll down to select Verify Connection. Congratulations! You've just connected your Magento store! Once the listings have pulled in follow the instructions on How To Link Your Stores Product. The first pull, will take between 5 minutes and a couple of hours depending on how many products/orders you have.